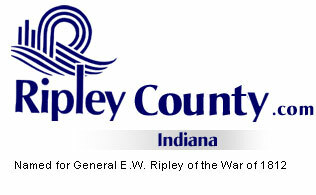 The Ripley County Council met on Monday, July 21st, 2008 at the Ripley County Annex in Versailles, Indiana. Dephane Smith, Council President called the meeting to order promptly at 7:00PM with the pledge of allegiance to the flag. Council Members Dephane Smith, Juanita Kaiser, Mark Busching, Ed Armbrecht and Ben Peetz were in attendance. Donald Dunbar & David Simon was not in attendance. Mary Ann McCoy, Ripley County Auditor took minutes for the Council. Neil Comer, County Attorney was present for the Council meeting to answer any legal questions. Council Member Busching made a motion to approve the minutes for the June 16th, 2008 Council meeting seconded by Council Member Peetz. Motion approved by Kaiser, Busching, Smith, Armbrecht and Peetz. Council Member Simon and Dunbar were not present. Ripley County Sheriff Department had an additional appropriation from the last meeting in May. Council Members decided to leave it on the table. David Pippin presented the Jail Commissary Fund Report for this period (6-30-2008). Pippin advised the Council Members of an accident that had destroyed one of the Sheriff’s cars and was in need of a car to replace the one that was crashed. Council Members suggested that the Sheriff use some of the money that is already appropriated in the (Home Incarceration/Work Release Fund) and do an Additional Appropriation for the next meeting. Council Member Armbrecht made a motion to approve the additional appropriation of $9,464.08 from Acct# 282-43500-000-282 Perpetuation for a Panasonic DP-8060 Copier /Ripley County Clerk/Ginger Bradford seconded by Council Member Kaiser. Motion approved unanimously. Council Member Kaiser made a motion to approve the additional appropriation of $15,000 from Acct# 259-37800-000-259 Covered Bridge Fund Ripley County Commissioner/Chuck Folz seconded by Council Member Peetz. Motion approved unanimously. Commissioner Folz presented an additional appropriation of $3,066 from Acct# 201-42153-000-027 Highway Department (from the auction at the Highway Department) to purchase a used truck for the Ripley County Park. No Motion. Council Member Armbrecht made a motion to table the additional appropriation of $3066 (Park truck) until the August meeting (Park come to the August Meeting) seconded by Council Member Busching. Motion approved unanimously. Council Member Armbrecht made a motion to approve the additional appropriation of $250,000 Acct# 203-29489-000-033 Bridge # 89 (for replacement of Ripley Creek Bridge) seconded by Council Member Kaiser. Motion approved unanimously. Council Member Armbrecht made a motion to approve the additional appropriation of $275 from Acct# 425-38701-000-050 Rental Deposits, $200 Acct#425-34400-000-050 Telephone (upgrading to high speed internet) and $500 Acct#425-29620-000-050 Paper Products seconded by Council Member Kaiser. Motion approved unanimously. Council Member Armbrecht made a motion to approve the additional appropriation of $12,157 Reynolds Foundation Grant (concrete floors in animal barns at fairgrounds) seconded by Council Member Peetz. Motion approved unanimously. Shirla Jones, Probation Department presented an Ordinance of Ripley County for establishing the fee based Court Ordered Testing Fund seconded by Council Member Peetz. Motion approved unanimously. Council Member Armbrecht made a motion to approve the transfer of $4,000 from Adult Probation Fees Acct#246-83000-000-000 to Court Ordered Testing Fund Acct#338-83000-000-000 seconded by Council Member Peetz. Motion approved unanimously. Traci Eggleston, Ripley County Department of Family Services updated the Council on the Family and Children and advised that since we have not had a large tax distribution they are in need of money. Council Member Armbrecht made a motion to authorize a loan of $500,000 to the Family & Children Fund (as necessary) to be paid back by the end of the year (2008) seconded by Council Member Peetz. Motion approved unanimously. Eggleston advised the Council Members that they should have a balance in the Family & Children Fund at the end of the year (2008). Donna McCool updated the Council Members on the Sunman Regional Sewer District and advised that a Petition signed by Ripley County Council Member is on file at the library showing support of the Sewer District. Petition held by McCool was signed by only three members Dramann, Dunbar & Simon. Minutes reflected that a motion was made to sign a petition in support the Sunman Regional Sewer District. McCool requested that the Council Members do a letter advising that the Ripley County Council Members are not in support of the Sewer District. Attorney Comer advised Council President to take a poll of the Council Members to see if they signed the petition (Auditor will look for the signed petition) do they want to withdraw the petition and authorize President Smith to sign a letter objecting to the sewer district. Council President Smith asked each Council Members for their opinion (Busching, Armbrecht, Kaiser and Peetz) no motion in support was made by Council Members to write a letter in support to withdraw support of the Sewer District. (Council Members present would like to review the signed petition before making a decision to write a letter to withdraw). Council President advised that the Council Members would like an email showing what each office holder is requesting (at the Council Meeting) and the need for the request. Auditor McCoy will send an email to all office holders informing them of the Council Members request. Council Members requested that all Council request and reason for the requests be emailed to the Council Members before the meeting so they can go over all requests. Council Member Smith advised the Council Members that the budget hearing will be September 3rd @ 7:30 AM, 4th & 5th in the Ripley County Annex, Versailles, Indiana. Council Member Kraiser made a motion to adjourn until the next meeting on Monday, August 18th, 2008 seconded by Council Member Busching. Motion approved unanimously.